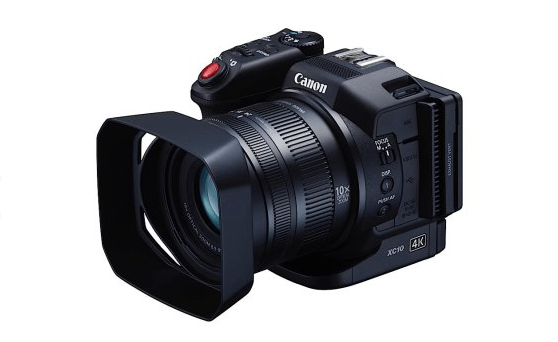 Canon xc10 a 4K Camcorder ? Having a camera geared towards taking pictures but with video-taking capabilities – and vice versa – isn’t something entirely new. Gone are the days when DSLR just meant taking high-quality pictures now that some cameras in that category also bear motion-capturing features. 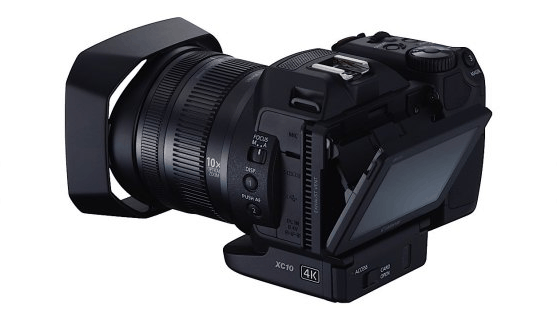 And the newest member in the area of bridging the distance between photo and video is the xc10 4K digital camcorder from Canon. It was unvieled in June with a price tag of $2,500. And while it does take pictures, it is essentially a camcorder that has photo-taking abilities. 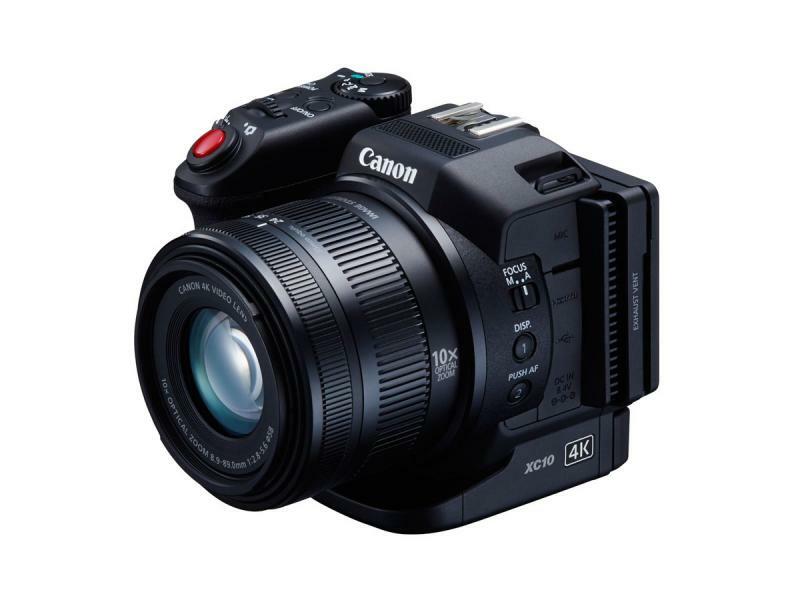 But for its price tag and pedigree, is the Canon xc10 4K digital camcorder worth all that trouble? 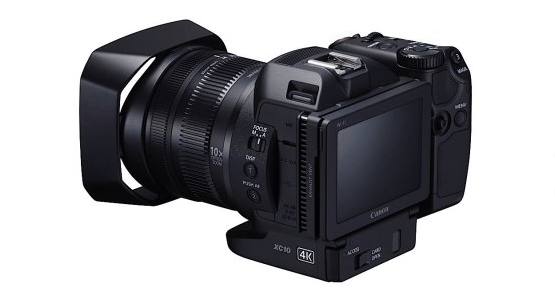 The xc10 shares the same parts with the other products in Canon’s high-end Cinema EOS line. 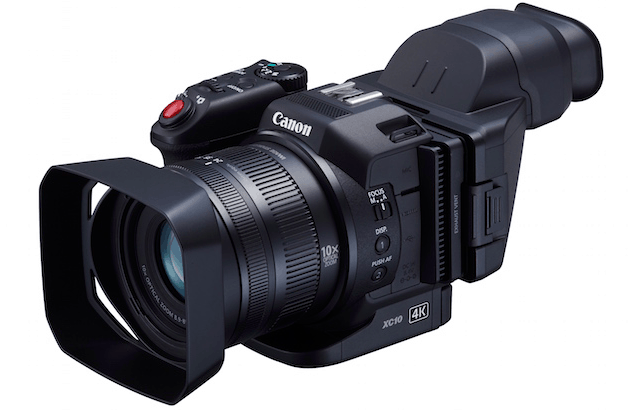 In particular, it shares a similar DNA with the C100. The camera has a one-inch sensor that has a 20,000 max ISO sensitivity. It’s also capable of providing 12 stops of dynamic range while capturing 305Mbps 4K video or 12MP still photos. The lens that comes with the Canon xc10 is a fixed one – a 24-240mm-equivalent f/2.8-5.6 zoom. Emphasizing portability, the body of the xc10 4K camcorder is small: 4.9 x 4.4 x 4.8 inches. Then again, when a lens hood or clip-on loupe-style viewfinder is attached, the camera looks a whole lot bigger. Other features the xc10 camera comes bundled with include a microphone socket, headphone jack, HDMI 1.4 port, DC power, USB and WiFi connectivity and a built-in neutral density filter. With these set of features, consumers are getting a camera that is extremely versatile and packs in both the capabilities of Canon when it comes to audio and video all into one device. Given the range of features the xc10 has, it looks to be a camera meant for journalists who need to shoot high-quality video and still images but without having the need to carry lots of fear. Although the one-inch sensor isn’t exactly what you’d find in a DSLR, it has proven to produce great results – the RX100 from Sony being one good example. being able to record in a range of picture modes – Canon Log Gamma, Wide DR, EOS Standard – for more versatility in color correction. a dedicated focusing ring, as well as a Push AF button that is conveniently placed for reliable manual focusing operation. A Continuous AF mode with Face Detection feature also allows the user to take good shots even in difficult shooting environments. A vari-angle LCD monitor with a touch-panel for intuitive control and a rotating hand grip that allows users to shoot movies and still images from any angle. It’s easy to see the appeal of the Canon xc10 camera. However, when you look at the competition, you see devices that offer much more capable lenses and good enough video-capturing capabilities for about half the price – the Lumix GH4 from Panasonic being a good example. Then again, being a hybrid device capable of giving consumers professional level video-taking abilities as well as really good photo-taking features make the xc10 a unique and niche product for camera consumers..